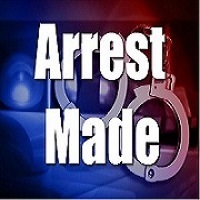 A Taylor County man was arrested Friday, February 8, 2019 by the Adair County Sheriff's Department after a search warrant was issued on his vehicle. According to the press release, the Adair County Sheriff's Department executed a search warrant in the 100 block of Campbellsville Street, Columbia, KY on a 2005 Buick owned and registered to 64-year-old Ricky Barnett of Taylor County. Barnett was charged with Possession of a Controlled Substance 1st degree (oxydodone) and lodged in the Adair County Regional Jail. Chief Deputy Justin Cross made the arrest and was assisted by additional deputies along with Columbia Police Department Officer John Dial and K-9 "Gunner".